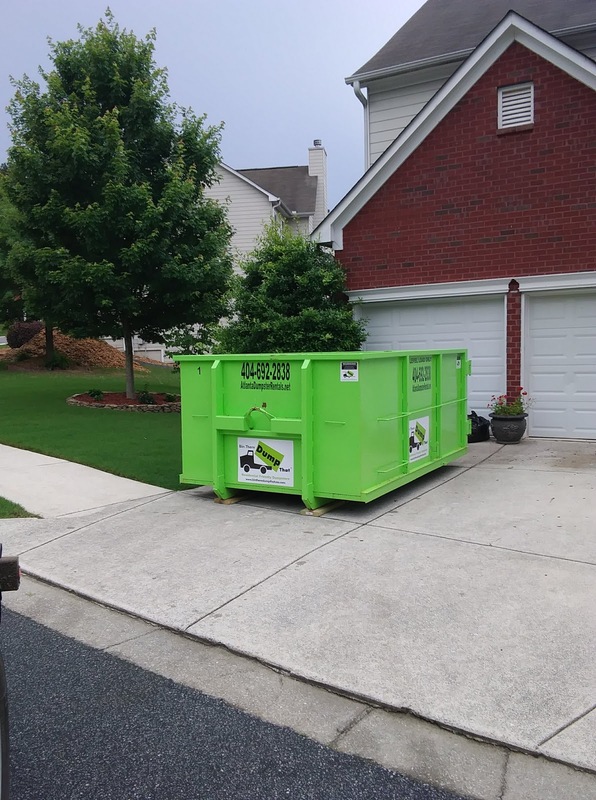 Locally owned & operated; BTDT is the only Residential Friendly dumpster service in Metro Atlanta. We offer double doors for easy walk in loading and no need to lift over the rim, 100% driveway protection, post job clean up, attractive bins, and superior customer service! Furthermore, we do not have any hidden fees, fuel surcharges, delivery fees, or etc. We are the only RESIDENTIAL FRIENDLY DUMPSTER service in Atlanta! 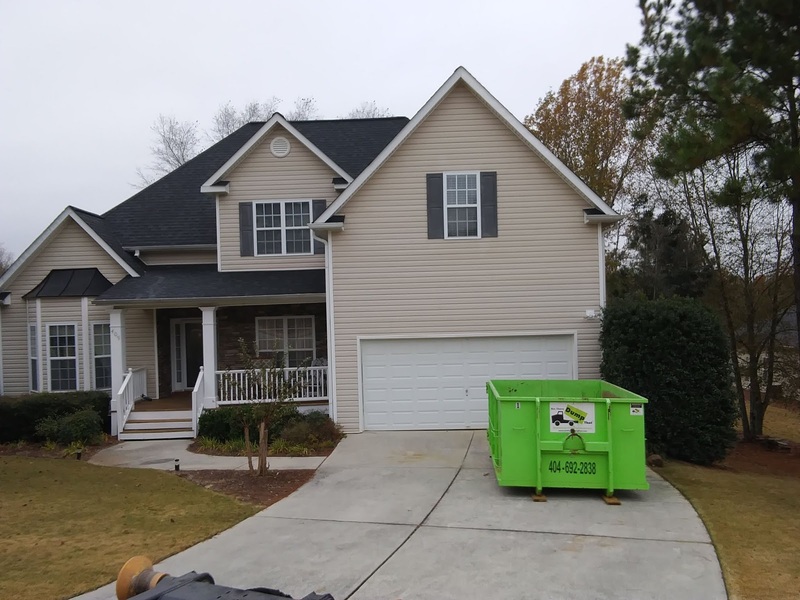 Clean and Attractive Dumpster! Our dumpsters are maintained, clean, and presentable. We touch up the equipment on a regular basis to ensure a clean appearance. This keeps neighbors and HOAs happy. Double Doors (french style) at the back for easy walk-in loading. 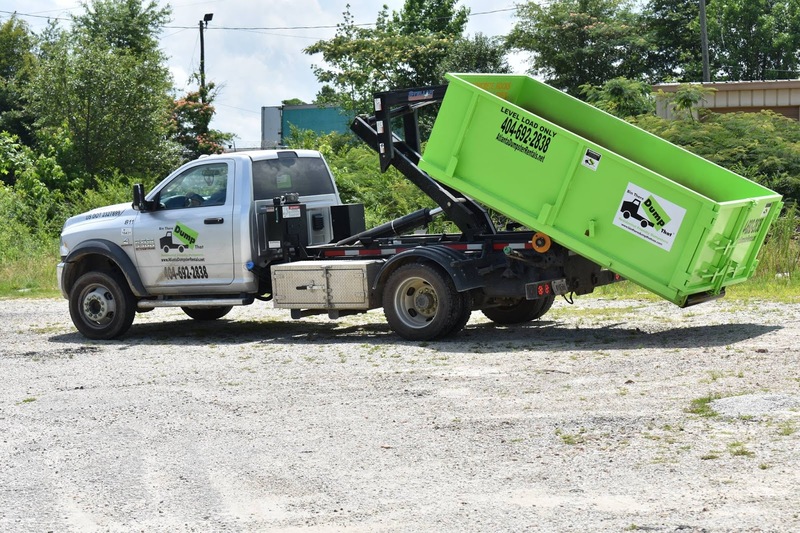 There is no need to hassle with lifting and tossing everything over the top. Also, this feature provides the ability to maximize space. 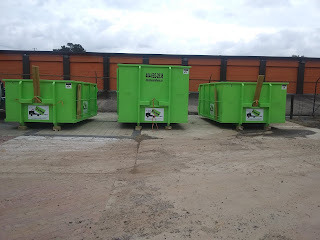 3 Sizes: 10, 15, and 20 cubic yards. A size for any job. system there is no damage to the driveway, hard surfaces, or yard from the metal roller or rails! 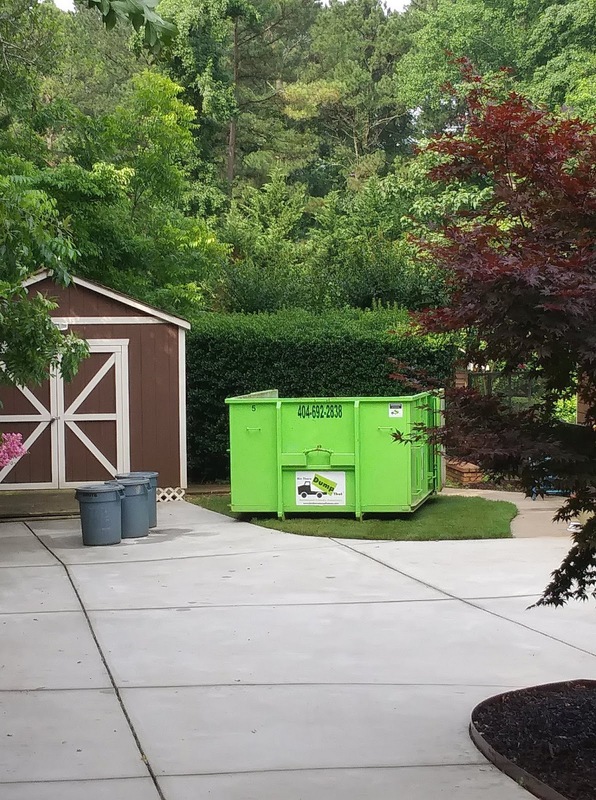 In fact, our dumpsters never even touch the ground! 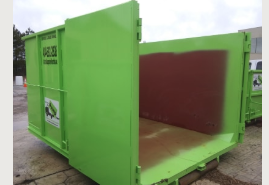 Our dumpsters have a Small Foot Print; about the size of a car! 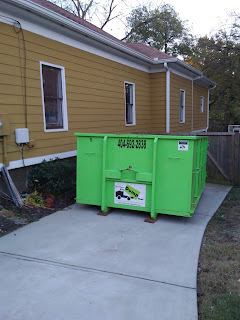 No need to take up a whole driveway or place it on the road for the neighbors to use or complain about. Great for short driveways or houses right off the road. Our Unique System fits into tight places that other companies cannot! On Time Service & Outstanding Customer Service. All of our drivers are clean, courteous, and professional. We do not like to be surprised and we are sure you do not either. Clean out the junk over a Long Period of time without strangers entering the house. To book an order click HERE. To review restrictions and conditions click HERE.